The products below are components of the space saving Oscar Iso-Mount ceiling soundproofing system. For more information on these class leading soundproofing products, click on the hyperlinks or click to receive a brochure. Oscar Iso-Mount is a new space saving isolating mount for soundproof ceilings. 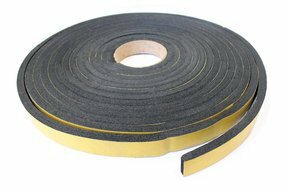 Oscar Foam is class 0 fire rated self-adhesive foam strip 25mm x 10mm supplied in 10mtr rolls. 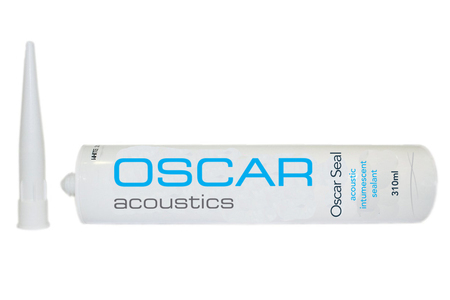 Oscar Seal intumescent acoustic mastic provides up to 4 hours fire barrier combined with the excellent sound damping properties expected from a high permormance acoustic mastic. 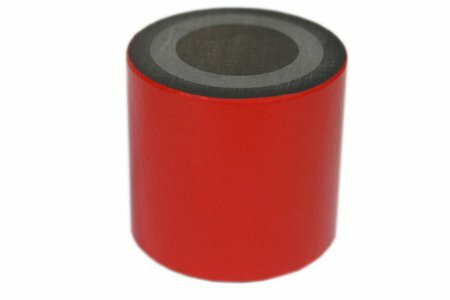 Pot Magnets used to help level acoustic hangers when using a laser or level. 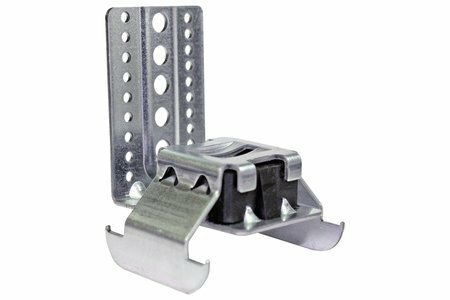 Minimum height loss means the Iso-Mount L-Bracket is above the bottom of a joist.